This eluding feature has fuelled the creation of a new Pinterest like social service called LoveIt. Ron LaPierre, LoveIt co-founder and CEO made it clear that they understand that users do not necessarily want to share everything with everyone in an age where overshare seems to be the order of the day. The need for Pinterest private boards is obviously big enough to justify another service. LoveIt extends beyond just wedding planning or “things I love” and could be particularly useful to businesses who would like to privately share work with clients and get feedback in a closed space without making anything known to competitors. Another clever feature of LoveIt lies in the content importer tool that includes an algorithm to automatically credit the original content source. 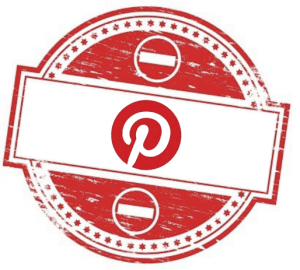 Credit and copyright are big issues on Pinterest and other social networks. This feuture should be a hit with companies and advertisers. Love and pin something and you should be able to click on the photo of it and then buy it. Would you consider using LoveIt? 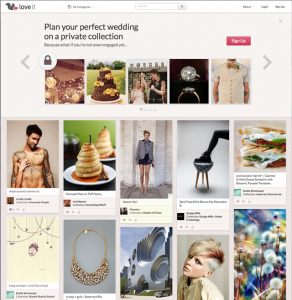 Will Pinterest add a a private board feature eventually? Should be interesting to see how this one plays out.